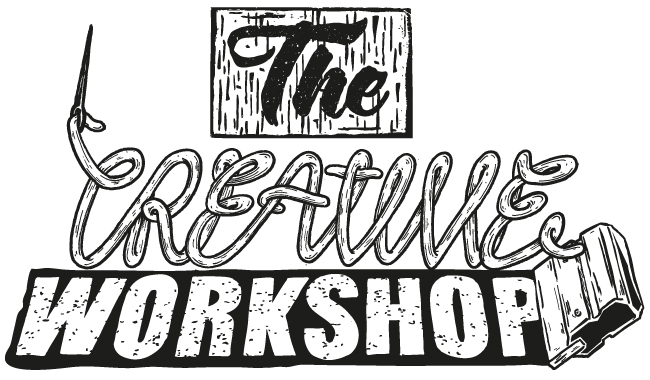 I recently designed a logo for a arts initiative that’s looking to run hands on workshops along side industry proffesionals on the Central Coast. Ill be floating around the workshops helping where i can. I’m amped to bring you today’s interview with Brent Smith – Artist, Illustrator, Muralist, Graphic Designer and Art Director extraordinaire! Brent’s works have been exhibited across Australia and the USA in various galleries, on posters, walls, album covers, fashion design and tattoos. He has worked for iconic Australian brand ‘Mambo’ and runs his own successful design business producing work for clients including Red Bull, E.M.I, Canon, Absolut Vodka, Good Vibrations Festival and Velvet Sea to mention a few. Coasties will recognise his quirky murals at local restaurant and bar Rojo Rocket. We’re stoked to have Brent teaming up with Jamie Conroy to deliver the Screen Print your own T-shirts & Fabrics workshop as part of the upcoming Creative Skills Workshops in September at Gosford Regional Gallery’s Studios. Visit www.creativeworkshop.org.au for more info & to book. I caught up with all-round nice guy Brent recently, to chat to him about his creative practice and see what he’s been up to. Enjoy! TELL US A LITTLE ABOUT YOUR BACKGROUND – WHAT PATH LED TO YOU BECOMING AN ARTIST, ILLUSTRATOR, MURALIST, GRAPHIC DESIGNER & ART DIRECTOR AND TO CREATING YOUR CURRENT STYLE OF WORK? I grew up on the Central Coast and had a lot of odd jobs. A few of my friends were studying Graphic Design, so I decided I would jump on the band wagon! I scraped through my course getting average marks but doing a lot of freelance work on the side, which built my portfolio. I spent the next year trying to find work unsuccessfully until I eventually moved to Sydney where I was interning as a Graphic Designer. During my internship, I applied for a role at Mambo and got the job. Less than a year in to the job I became the Head of Menswear and held that position for nearly four years until recently, when I decided to fly away from the Mambo nest. I’m currently working as an Art Director for a group of properties and running my own Design business. I’ve been working on a small capsule range for a French surf company which has been great! The owner has let me have free reign, so I’ve let my freak flag fly! I also recently wrote a series of comedy based, 30 second ads that I’ll be producing for a well-known household products company. I’m also busy finishing paintings for my upcoming exhibition, Goon Islands Ole Vacay which is opening on Wednesday 27 August 6pm at Tate gallery in Glebe, Sydney. WHEN CREATING YOUR ARTWORKS & ILLUSTRATIONS, WHAT CREATIVE PROCESSES DO YOU USE? For my illustrations, I tend to sketch out my idea, copy the image with pens, scan it into Illustator and from there I add layers of colour. With my paintings, I mostly paint onto ply and pine wood boxes with acrylics. Weirder the better for subject matter! IS YOUR CREATIVE PROCESS INTUITIVE OR DO YOU METICULOUSLY PLAN OUT ALL STEPS INVOLVED? DO YOU WORK ON MULTIPLE PROJECTS AT ONE TIME? Little bit of both really, it depends on the job. I always have a couple of projects going at any time. WHAT DOES A TYPICAL DAY AT THE STUDIO/ WORK INVOLVE FOR YOU? A typical day of late has me driving to my current Art Director role at 7am, coming home at 6pm and then working on my freelance jobs and my paintings till about midnight – a typical day involves a lot of coffee! Working alongside people who inspired me. I’d love to be part of the street art event Pow Wow Miami. I’d be so pumped to paint at that size around the calibre of artists they have there. WHAT ARE YOU LOOKING FORWRAD TO? WHAT ARE 3 RESOURCES YOU REGULARLY TURN TO FOR INSPIRATION ACROSS ANY MEDIA? Bunny food tumblr, instagram and a trip to the beach. Which other Creatives are you inspired by / loving at the moment? Joan Cornella, Dabs and Myla, Eric Parker, Washed Out, Blood Orange and The National.